Brown sausage till almost done. Drain grease. 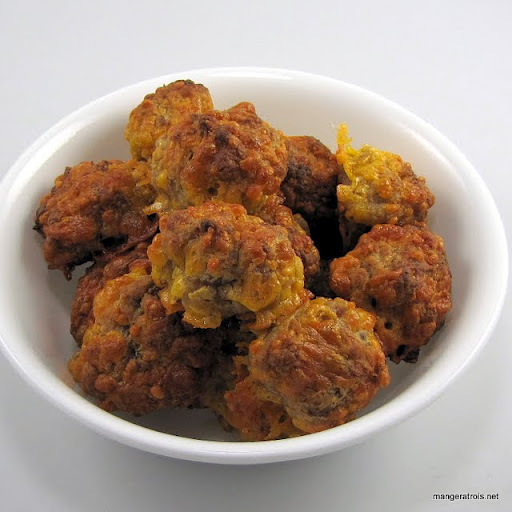 In a bowl mix sausage, Bisquick, grated cheese and Texas Pete; form into small balls. Place on cookie sheet; bake approximately 15 min or possibly till brown, 350 degrees.